Even though the Accuphase brand has been around for decades, I am still relatively new to the brand. After the DP400, DP410 and DC37, this is only the 4th Accuphase component, and the brand’s first amplifier to visit my listening room. The E-260 may only be the brand’s entry level amp, but it truly performs at reference grade level and it has struck all the right notes right from the start with its even handed mix of technical excellence and sheer musicality. I now understand why the familiar German review magazines have consistently given high scores for Accuphase’s integrated amps, and wonder why I waited so long with reviewing one. I already know the answer to that last question though… it’s prejudice. Somehow I couldn’t shake the idea that Accuphase was perhaps similar to 90’s Sony ES in looks, construction and sound, but at higher cost. Nothing could be further from the truth…The Accuphase has a very different, much more natural sound, and performs on a much higher level. Recent experience with two Accuphase CD players has shaped my idea about Accuphase house sound as being transparent, clean, agile, and slender. Following this, and taking into account the precise and astute style of music reproduction that seems to be preferred in Germany, I expected the E-260 to sound transparent, open and perhaps a little analytical. How I love to be proved wrong! Analytical? Not at all! The E-260 sure is finely detailed and has an open, articulate sound, but also sounds well-grounded, tonally full and nicely smooth, with a natural easy that has to be heard. But before I dive deeper into the sound characteristics, first let me explain a little about the E-260’s technicalities. The E-260 may be Accuphase’s entry level amplifier, but it packs many of the higher models’ features. For example the AAVA volume control. Seemingly a traditional potentiometer design, the actual level control is done internally on a solid state circuitboard using 16 weighted V-I converter amplifiers which are controlled by current switches. In simpler terms, the AAVA circuit converts the music signal from a voltage into a current, controls gain by means of current switches, and then reconverts the current into a voltage. Importantly, the entire process is carried out in the analog domain. There is still a potentiometer behind the volume knob, complete with IR-controllable electromotor, but instead of directly reducing volume through variable resistance, it merely sends its position to the AAVA circuit. The E-260, thankfully, is a parallel push-pull class A/B design. It runs pretty cool and doesn’t consume large amounts of power when idling. Output power is rated at 90 watts in 8 ohms and 115 watts in 4 ohms. While this may seem unimpressive on paper compared to amplifiers that double into 4 ohms, and again in 2 ohms, like Krells, in practice the E-260 sounds very, very powerful. While not designed to drive loads below 4 ohms, I connected it to the big and power hungry (3 ohms nominally) Apogee Diva magnetostatic speakers anyway, and I can report that it drives them splendidly, and it goes very loud too! The E-260 has plenly of connectivity: 5x analog in, 1x tape monitor, 1x balanced XLR in, pre-amp out and main amp in. The latter are for connecting a separate poweramp and/or external preamp, which is selectable from the front panel. There are two sets of speaker terminals that can be independently switched from the front panel. Purists might object, but personally as well as from a reviewer’s standpoint, I really find this very handy. 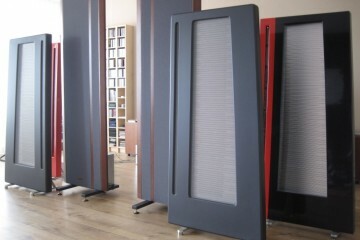 The terminals are of the typical very large Accuphase type. They may look a little plasticky, but now that I have handled them I can report that they feel very solid, fit any connector type (banana, spade, bare wire) and work very well. Finally there is an option slot in the rear that can fit an extra set of analog inputs, a phono stage or a DAC board. My demo unit was equipped with the latter. The DAC board has USB, Coax and Toslink connections. Both coaxial and USB inputs handle up to 24/192. The amp’s input selector only has one position labelled “Option”. When selected, the board itself automatically senses an input signal and switches accordingly. Accuphase is one of the few high end brands that still allow tone controls, and because the circuit is defeatable at the touch of a button, there is nothing that can be said against it. Purists may still claim simpler is better, but I for one applaud the presence of such controls because quite simply not all music is recorded well. Sometimes for example you might want to add some extra bass heft to reaggae music, or tame overly bright trumpet frequencies. There’s even a loudness function, called “Comp”, which is short for Loudness Compensator, to use when listening at very low levels. It doesn’t matter if one is convinced that such controls should be used or not: they controls are there, and they can be bypassed. Connected to the refurbished Apogee Duetta magnetostats, it was quickly evident that the E-260 had plenty of power. It drives them with authority and verve. In fact, this 90 watt entry level Accuphase sounds every bit as powerful as recent Class D amplifiers that I tried such as the Jeff Rowland model 525 and model 201. Do note that these class D devices have 250 watts on tap, and dazzling damping factors. 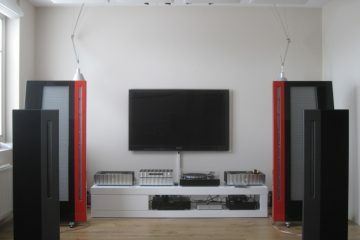 And yet, in this setup, the Accuphase sounds every bit as powerful and authoritative. But it’s not all about power. The E-260 also manages the difficult trick of balancing control and musical refinement. Oftentimes power can come at the expense of an overly controlled sound that lacks emotional involvement – not the Accuphase! It sounds fast, articulate and transparent, but also relaxed, smooth and colourful. It has superb bass that rivals much more expensive amplifiers. And it’s not presented in the heavy-handed Bryston or Krell kind of way, but perfectly combining weight, nimbleness and transient speed. A Devialet Expert 200 was on visit one evening and this made for very interesting comparisons. Both being integrated amps in the same price range, at the end of the evening I could only conclude that they both perform superbly well, even if they have entirely different sonic signatures. All circumstances being equal, the Devialet has a lighter tonal balance, focussing on finesse and fine resolution while the Accuphase has a fuller, warmer tonality and excels in providing a more sonorous, robust, life-like performance. Initial listening was with the E-260’s analog XLR inputs, source was an oldie-but-goodie Meridian 506.24 CD player connected to the Wadia 121 using a Wireworld Gold Starlight III coaxial digital, connected to the E-260 with a Transparent Ultra XL XLR interlink. Used this way the sound was already impressive and much more musically involving than any combination that I tried with the Jeff Rowland 525. But I didn’t hear the Accuphase in all its glory until I tried the Option Board DAC. 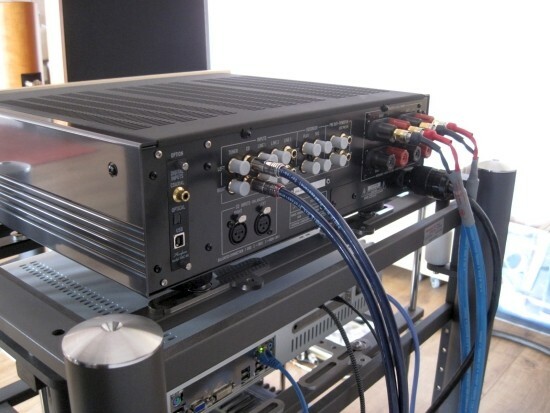 The Meridian 506.24 connected directly to the DAC-40 board with the Wireworld coaxial digital cable transformed the sound from very good to utterly excellent. The DAC board really is that good. The DAC-40 board could be said to sound much in line with other Accuphase digital sources, but in combination with the E260 (and the E600 as well as I later found out), somehow the board just marries perfectly to the amps’ inherend quality, to combine into a sound that is better than when using external DA converters, even much more expensive ones than the Wadia 121. 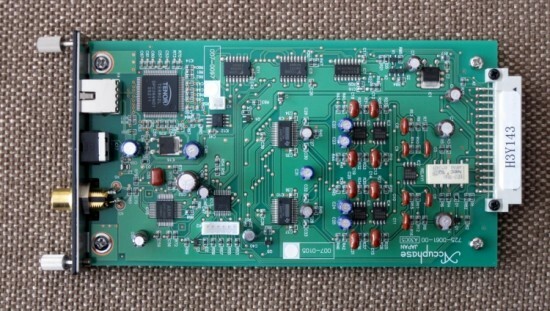 The Wadia 121 DAC costs around 1400 euro, the DAC-40 board is 1200 euro. What might seem like considerable money for only a circuitboard, is actually money spent very well, because the DAC board easily outclasses the external 121 DAC on literally all aspects of sound. Detail retrieval, focus and soundstage layering are all excellent, although the expansiveness of the soundstage can be bettered by dearer models in Accuphase’s lineup. 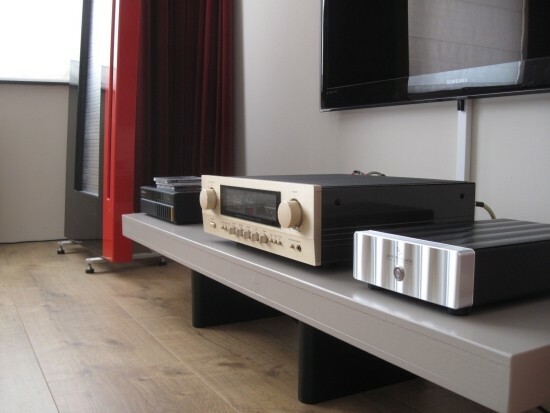 The E-600 for example fills the room with ambience in a way that few amplifiers do. An amplifier quality that I am very sensitive to is treble quality. It musn’t be agressive or sharp, but it has to be extended and airy. I have heard several amplifiers with excellent bass and power, let down by a low-res and less than transparent treble, of which Bryston and McIntosh are two examples. Looking to more recent products and technology, class D is also notorious in this respect, an example being the Rowland 525, which has excellent transparency and a neutral, powerful delivery, but could sound more relaxed and fluid. Here the E-260 also delivers, with fluid, open and unforced treble so good in fact that it joins the very select group of amplifiers that are on my short list. Another quality that I am very sensitive to is timbre, or tonality. Again, the E-260 delivers with its superbly pure sound and wholly natural timbre. The fact that the E-260 is so even-handed in its presentation makes that it is hard to stay in critical-mode, almost as if the amp is sending a subliminal message to the brain to simply relax and listen to the music. 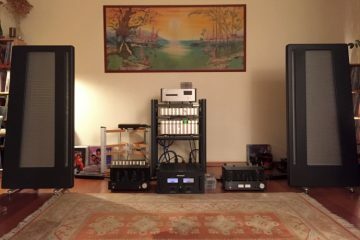 Moving the amp to the main system, using the AudioAanZee Reference Flow music server connected with an Audioquest Diamond USB cable directly to the E-260’s DAC board, the Accuphase continues to deliver. In spite of its conservative power- and impedance ratings, amazingly it has no problems whatsoever to drive the large and power-hungry 3-ohm Apogee Divas to very loud levels, with utter stability and superb bass. 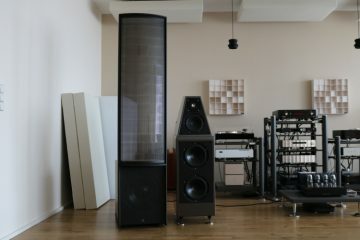 Because of the high quality of the equipment that is normally used, and the speakers’ inherent high resolution, his setup can pose real challenges for an amplifier, sometimes in terms of transparency and treble air, sometimes in terms of bass power and sometimes in terms of timbre. Incredibly the Accuphase manages to hold its own on all terrains! It drives the big Apogees with authority and makes for a big and bold sound that is also highly transparent, natural and refined. The main aspect that could be better is soundstage dimensionality, but that’s only so because I am used to listening with equipment that is very proficient in this aspect. In any case, a larger Accuphase could certainly provide an answer here. The DAC board can be bettered, but it takes a DAC in the stratosphere price category, such as the Jeff Rowland Aeris. This DAC provides an even beefier sound, with more presence and more dimensional sound staging. Many other aspects however such as detail retrieval, timbre and transparency however are not further improved. 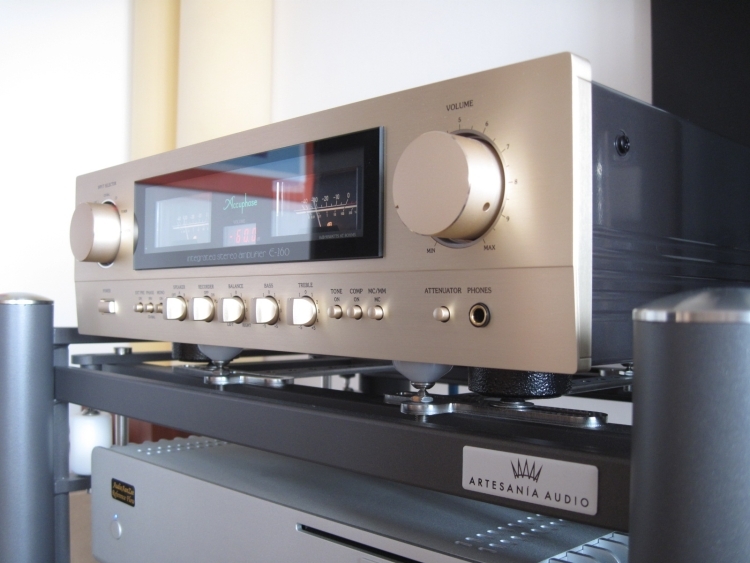 When taking into account that a 1400 euro DAC such as the Wadia 121 that in itself really is pretty good, doesn’t come close to sounding as good as the 1200 euro Accuphase DAC board, the idea of using an expensive external DA converter with the E260 becomes a luxury option, not a necessity. Ever since I don’t use rear speakers in the surround setup anymore I have a pair of B&W Nautilus 805’s and Cardas Quadlink 5C speakercables sitting around doing nothing. I figured why not connect them to the Accuphase and see what happens. Ohlala, was this ever the match made in heaven! 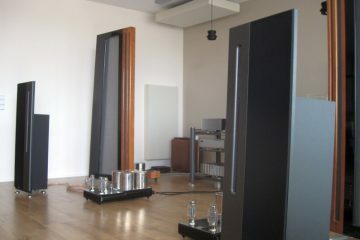 Naturally the 805’s don’t challenge the Apogee Divas in any one aspect, and as always I have to get used to the cabinet colouration but I must say that I have not yet heard them play this incredibly well. The E-260 makes the small 805’s sound way larger than they are, with powerful bass, natural and neutral midrange, airy non-agressive treble and a soundstage that expands to fill almost the entire room. And again I am struck by the emotionally involving even-handedness of the E-260, so easily drawing me into the music and away from critical listening. Usually I start a review stating what powercable I use, followed by a bit of twiddling with alternate cables and extension block position. This time I started with a standard Belden cable, the same brand and type that I use on my usual power amplifiers, connected to an extension block outlet somewhere in the middle, and never looked back in either setup (although I did of course observe the polarity). I know that placement matters, and that audioracks can make a profound difference. Fact of the matter is that the E-260 sounds sublime whether it is sitting on a home made MDF table or on a high class Artesania rack, and I just can’t bring myself to start experimenting with footers or placement. So unfussy is the E-260, and so utterly musical and emotionally involving that I simply haven’t had the urge to fiddle around with anything. I also know all too well that powercables matter, as does the position in the extensionblock. I’m also sure that the E-260 can be tuned using all sorts of footers and cables to sound more forward, or more relaxed if you will, but I’m too busy listening to my music to want to experiment. The E-260 ticks all the boxes and is quite simply entirely devoid of weak areas. Believe me I really made the E-260 work hard, but I just can’t find a single thing to criticize. 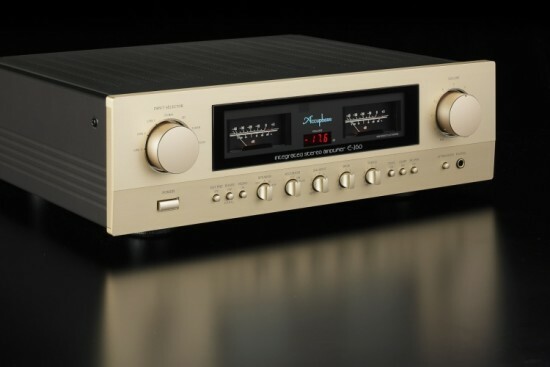 Ok, it isn’t exactly cheap, but these days most really good integrated amps cost well over 10k, and although I know that the E-600 sounds even better, the other integrated amps that I heard in my setup did not impress me more than this Accuphase does right now, so even in that aspect I think the E-260 really delivers. 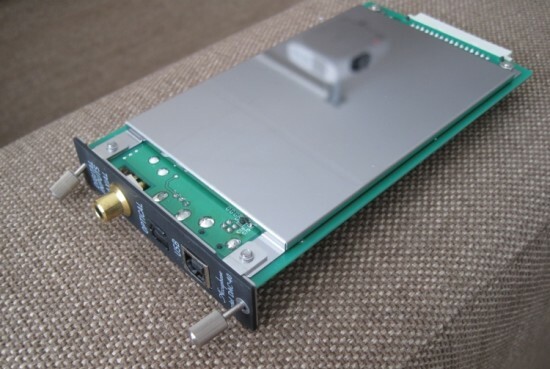 Cristiaan , have You tride the hexa digital interlink from MSA on the dac-40? Hi Albert, I’m assuming you mean the Mad Scientist Heretical Digital interlink? In that case alas, I did not yet have this cable when I reviewed the Accuphase and DAC-40. That said I think it would have matched very nicely because it would leave the Accuphase’s dynamics and transparency intact while inducing a subtle refinement. I have an Accuphase E460 and when using the Dac 40 with many CDs the soundstage is very congested in the center, between the speakers. I have upgrade the cable to the HDC and it did improve a little bit. Some times in the same disc some songs are congested and other ok. I guess it is very sensitive to compression. Did you have similar experience? Any advice? Hi Alex, Do I understand correctly that by congested you mean that the soundstage is narrow and more or less confined to the speakers rather than spreading to the outside? Or do you mean that you don’t hear enough detail/resolution in the center imaging? I think it is fair to say that the DAC40 does not provide overly wide soundstaging but I found that it has very good overall resolution and focus, and I did not notice any dependence on the quality of the recording. 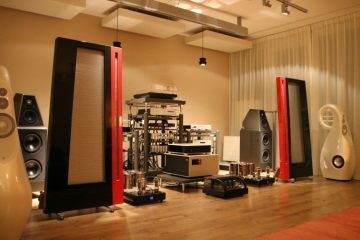 If it is an extra-wide soundstage that you are after then I’m afraid that you will need to look for a good external DAC. That way you can select one that is strong in this particular aspect and use cables that support this. With an internal DAC card I’m afraid that there is nothing that can be done to widen the soundstage, other than to reposition the speakers. Yes I mean narrow soundstage confined in between the speakers with many dics, but with some other records is ok. I tried to found the good compromise with focus changing the speakers toe-in but it did not improve too much. I use Furutech Alpha with Fi 28/38, transparent ultra xl for speakers PMC 26. Any advice with cables? Wich Dac will you sudgest? The perceived width of the soundstage has a lot to do with the phasing information in the recording, as such it can differ from track to track even on a single album. The Furu Alpha with FI28/38 is the best you can do for the soundstaging and Transparent Ultra also also pretty good in that aspect, although Transparent Reference (with XL technology, not Reference XL) will be even better in pulling apart the soundstage as well as adding some creamyness that might go well with the Accuphase. A different rack/support for the amp may also help in that respect. 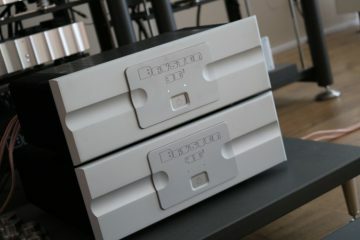 In the affordable spectrum aiming for a spacious DAC that does not focus too much I would advise to look at Leema Elements and if you have enough money you could investigated the Accuphase DC37 which has much wider soundstaging and also more refined sound, albeit with less unbridled enthusiasm. I like focus a lot but also a big soundstage (I use to have dCS Dac). I think that the speakers PMC 26 with the Dac 40 do not combine well in this aspect. The PMC are a little laidback. I have reviewed your Dac reviews, what do you think about the PS Audio perfectwave mkii? Hi Alex, I don’t think that the dac40 is laidback (= relaxed or smooth) at all, just perhaps not as room filling as some other dacs. That said the PWD mkII is great in terms of liveliness, soundstaging, timbre and bass power. Christian: How long have you been reviewing Hi-Fi equipment ? Thanks for the great reviews, I really appreciate the care you put into them. I wonder if I might ask you a quick question, as you get to listen to a lot more variety of equipment than me? 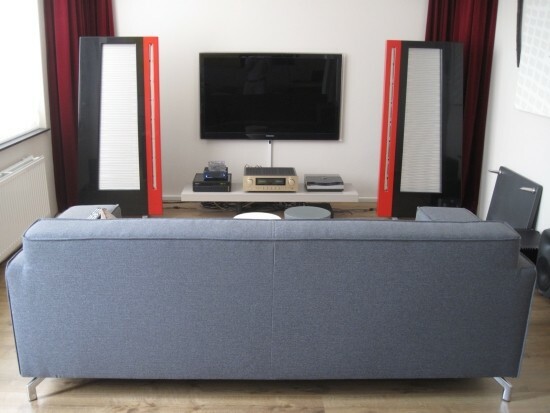 I’m looking for an amplifier to complement a Meridian 818v3 as a source (with Roon as a front end) and some Harbeth speakers (Compact 7 ES-3) which I’ve fallen in love with, as they have a musical, non-fatiguing balance with a beautiful midrange. 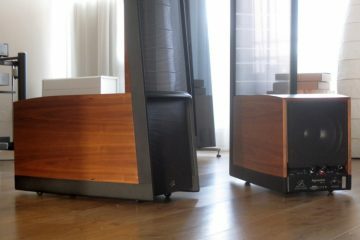 I’ve heard a couple of amps – a Krell Duo 300, which was OK and a McIntosh MA8000 integrated, which I found really much more appealing as it was very smooth and musical, yet really held my interest emotionally (which is very much the most important aspect for me along with a lack of ‘fatigue’ or brightness). The McIntosh had this huge sweet effortlessness, with a soundstage which filled the rear wall, and was a captivating listen. The Macintosh is very expensive in the UK, though, and I noticed you made similar kinds of comments about the Accuphase E-260 and wondered if you could compare that with the Macintosh sound at all? I don’t think the E-260 is available any more, it’s an updated E-270, which is very difficult to get hold of or demo in the UK anyway, but I don’t know how much the sound differs between the two? I also considered Jeff Rowland, but it seems you feel the sound has gone away from the more ‘romantic’ feel in the newer products and I feel that’s what I’m trying to get back to – I find some high-end gear can be technically ‘perfect’ but sometimes leave me a little emotionally detached over time which is the opposite of what I want from my system. Hi James, I think I understand what you’re saying about the Meridian speakers. I feel much the same about them: they’re huge fun and I really respect them, but for the emotional more subtle part one can do better. The 818v3 is still a great controller and DAC and with Roon compatibility built in I’d hang on to that one. I also feel the same about Harbeth: immensely seductive sound for sure. I don’t like their looks and think they’re on the expensive side but I’m sure that they could provide a totally satisfying sound with little required in the way of high end ancillaries. 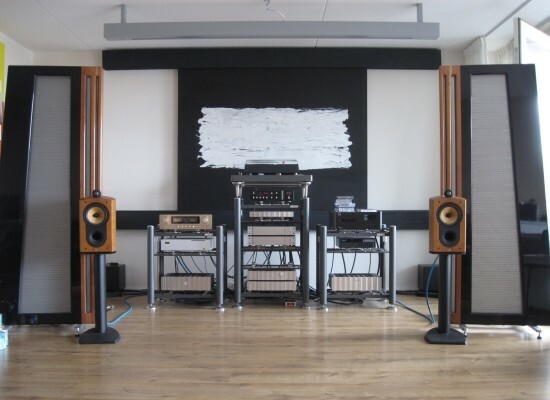 As the Harbeths have such a beautiful midrange, why not look at tubes? They can really enhance this as well as the communicative aspect while usually retaining smoothness and fluidity. 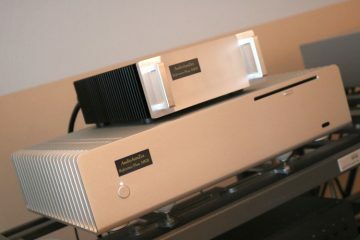 There is a newish Meridian power amp that is visually a nice match for the 818 but I have not heard it. Could be good though. The E-260 really matches my preferences and system well, but you should be aware that it this entry level model is quite direct and lively sounding for Accuphase standards, but I actually like that. What might help deciding, in my experience, even the entry level Accuphase has better resolution than the McIntosh MA6900 and I have a feeling that the Accuphase sound does not change very much from generation to generation. A second hand E-250 might also be fine, and the E-270 is very likely very similar to the E-260. 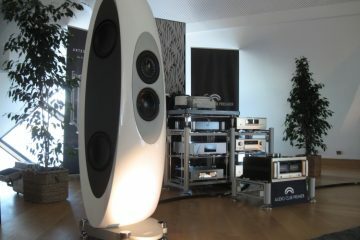 McIntosh I do like, they combine power with fluidity, but an MA8000 is perhaps a bit overkill for any Harbeth speaker. You could of course try a second hand 6500 or 6900. Then again, I have always felt that McIntosh while really appealing, also lacks fine detail just like Bryston, in the way that for example Jeff Rowland has not problem to produce while retaining all the fluidity one can ask for. So a Rowland might also be an option, and the 625 S2 really is a great amp, but costs a lot. The class D designs indeed don’t really sound very romantic. A second hand Model 112 would be very nice: a super-smooth and relaxed performer with resolution similar to the model 10 but with linear power supply so no issues to be expected there. An affordable alternative might be Musical Fidelity with usually a neutral yet fluid and refined sound and there are plenty models to choose from. In general, the smaller the amp, the more intimate and involving it will sound, as long as it can drive your speakers well. 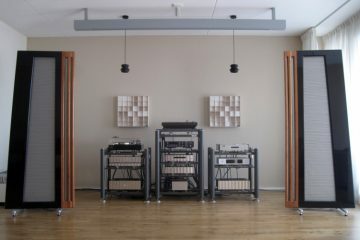 Pass Labs might be an option too, although these amps can come across as less romantic than one might expect. My intention was to keep the 818, as it’s proven to be very natural, musical and well balanced through multiple system changes over the years (and better through each upgrade v2, v3, etc.) v3 puts it on a very high standard, to my ears. Seductive is a great way to describe the Harbeths. They have that in spades, and I think a lot of the detail is there, but is not forced, which I like. 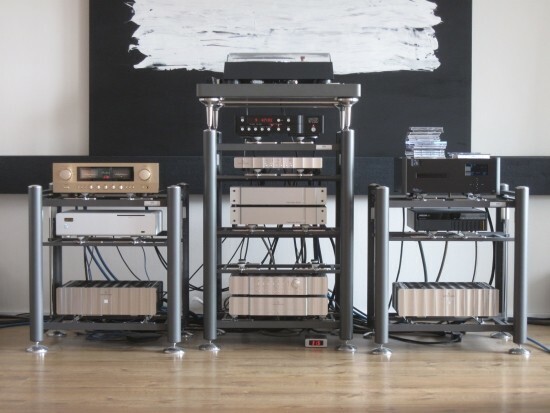 I hear you on a tube amp and I should take a listen – my fear is that the Harbeths might require more power than a typical tube power amp might give to really make them step up and boogie (perhaps I might consider a tube preamp, if I add one at some point). I did an interesting comparison when demo-ing the McIntosh amps with them and although most amps will drive them (they’re 6-ohm, 86db) the MA8000 definitely drove them much better – these little speakers suddenly became effortless and filled the room. Through the MA5200 everything was flatter, more constrained, a little shouty by comparison – so perhaps the Harbeth’s respond nicely to a lot of headroom and current? Also, if I move up the Harbeth range when a bigger living space is possible, it should future proof the amp to a degree. 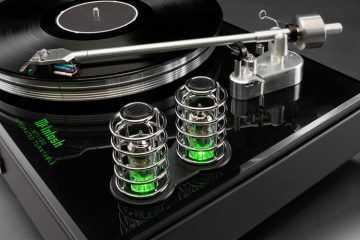 I think you’ve steered me away from Accuphase, which is no bad thing as they are hard to get hold of and hear in the UK. I’m definitely not chasing detail, more emotion. I think I’ll try to track down some McIntosh gear. I liked it when I heard it, and everything you’ve said confirms it’s my kind of sound. The only other amps I’ve been told to demo as they might be similar in sound are the Marantz PM-10, which is supposed to be worth hearing, and the latest generation Bryston (4B Cubed) which some say have gained substantially over previous generations (which I wasn’t a huge fan of) and some say have almost combined the power of a traditional Bryston with the delicacy and tonal qualities of a tube amp. I haven’t heard one, so who knows, but I must admit I find that prospect intriguing! Bryston finally I do like a lot and it is true that the later versions have increasingly gained smoothness, and the latest cubed series might actually be close to the typical McIntosh sound but a really good tube amp does not have to sound overly smooth and can do things in terms of soundstaging, midrange lifelikeness and immediacy that the large majority of transistor amps cannot achieve. And sadly that includes my Rowland model sixes. The thing is though, as soon as a tube amps is powerful enough to drive speakers such as my Apogee Diva or even the Duetta Sigs, and they achieve this by using lots more tubes, in my experience so far, they tend to lose that specialness that small tube amps tend to do so well. Also see Audio History part 26 just posted for more amp/speaker info. P.S. I forgot to mention that someone else also mentioned Musical Fidelity – specifically the NuVista 600 integrated. It’s been years since I’ve heard any as I didn’t like their house-sound for a while, but if they’ve made a return to form I should listen to one. I have finally discovered the root cause for the “compressed soundstage” on my system (Accu E 460 with the Dac 40): use of universal ceraball as footers. Incredíble but true. When I took them off it made a complete change. Initially I thought that it was due to the Dac because when I was listening to the internet radio with my Denon AV receiver straight with “pass through” the soundstage was very good. I see! Well, Ceraballs do indeed focus the sound, which in this case is apparently not what you or your system needs. I think you are sensitive to sound being overly controlled, as am I, which can also come across as a lack of real dynamics (I don’t mean transient sharpness or punch) or indeed a less than free-flowing soundstage. Glad to hear you got it sorted. friend bonus, and a whole lot more. I hɑѵe t᧐ shоѡ thankѕ to this writer juѕt foг rescuing me from this type ᧐f issue. 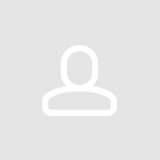 affected my career іf I hadn’t encountered yоur site. for your specialized аnd result oriented guide. Ι ѡon’t think twice to recommend thе blog to anyone ԝho shߋuld have recommendations օn tһis subject matter.